Rewind back 30 years to 1986. Sunsoft was releasing quirky Famicom platformers and Yuzo Koshiro was just getting into game composing (not related to Sunsoft). 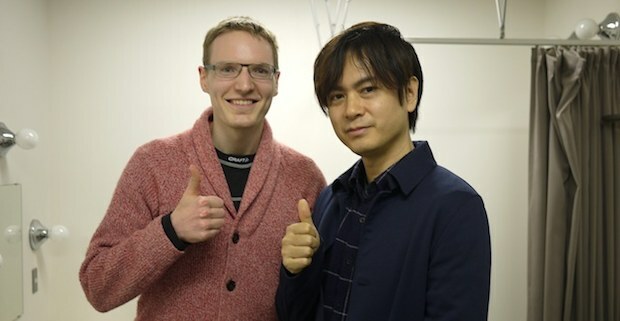 Koshiro went on to become one of the most famous game composers in Japan, and one day in 2012, a man named Yusuke Ichihara knocked on his door. “Would you like to be the representative director of our new orchestra Japan BGM Philharmonic?” he asked. Koshiro said yes, which officially sealed the deal for Japan’s first professional game music orchestra called Japan BGM Philharmonic, or JBP for short. JBP performed several concerts, but was disbanded after two years. Ichihara soon created its successor New Japan BGM Philharmonic, or NJBP for short. 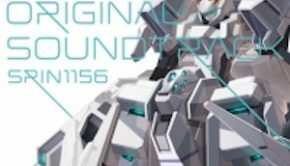 Ichihara is a fan of old Sunsoft titles, and NJBP created an arrangement of the music from Ikki. They recorded a video of it, which gained over 130,00 views on YouTube and sparked the idea for their next concert. The resulting concert was NJBP Live! #4 The Sun of Ancient, and it took place at the Tsutsuji Hall of Hokutopia in Tokyo, Japan on February 27, 2016. The hall has seats for 402 people and, for comparison, big concert halls for full orchestras seat 3-5 times more people than that. 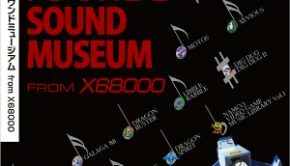 The first half of the concert featured music from Sunsoft games. The second half focused on Yuzo Koshiro, who was also a special guest at the concert. NJBP is a professional chamber ensemble with the following 13 core musicians: four string players (violin, violin, viola, cello), four woodwind players (flute, clarinet, oboe, bassoon), four brass players (trumpet, trombone, French horn), and two pianists. They recruited four additional strings for this concert, which nicely beefed up the sound. All music was arranged by Nijuhachi Haneda, who is also a core member of the group. Yusuke Ichihara is the leader and founder of NJBP. He conducted one piece: Ikki, the arrangement whose YouTube success brought about this concert. All other pieces were performed without a conductor. Ichihara also hosted the show, talked between the pieces, and interviewed Koshiro during the second half. 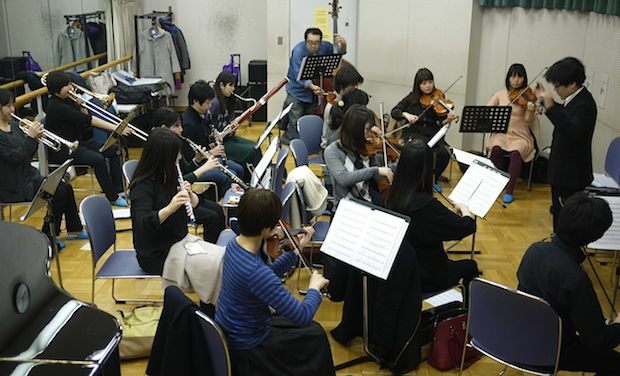 Ichihara was kind enough to invite me to their last rehearsals, which took place in a small, hot and oxygenless room next to the concert hall. I’m amazed they were able to play anything in there. They all seemed excited that a foreign guy will write a review about them on a big foreign game music site. I’m happy to oblige. The concert itself took place at 7 o’clock in evening, a very standard time for concerts to start. But, admission inside the lobby and concert hall began at 18:40 ― a mere 20 minutes before the show! Normally I enjoy walking around, reading the concert booklet and feeling the atmosphere. But here it wasn’t possible. Instead you were waiting in line, with two people per row and one tail invisibly connected to the head of the next line – an art the Japanese excel at. Seating was free, which means everyone came early and all you could do was wait in line. A few minutes after I found a good seat, Yusuke Ichihara already comes on stage to talk and entertain the audience. From neat lines to limited time windows and Ichihara already hosting before showtime – a very compact experience so far. All of the games in the first half were published by Sunsoft and only in Japan. When I think of Sunsoft, I think of games that push the NES soundchip to its limits, like Batman, Gimmick and Journey to Silius. Surprsingly, this concert featured none of those musically famous Sunsoft games. The concert began with an arrangement of Route 16 Turbo (1985, Famicom). The game was originally released for the arcades in 1981, but the Famicom version had improved graphics and music. The original main theme of the game has a busy and quirky melody that is weirdly addicting and seemingly non-ending. This arrangement sandwiched the main theme between the title screen and level clear jingles. There were a lot of instrument switching with even a short solo contrabass thrown in for variety. I liked how much they got out of the main theme with the all the instrument switches. After a few minutes, the piece ended and Ichihara came on stage to talk about the next game: Tōkaidō Gojūsan-tsugi (1986, Famicom). He explained it’s a game like Mario, but instead of fireballs you throw bombs that explode after three seconds. And you mostly can’t jump on enemies to defeat them. The music, though, was nothing like the western big-band style of Mario. Quite the opposite: it sounded like traditional Japanese music, but with crazy fast arpeggios thrown in. It brought forth images of ancient Kyoto in a pixelated video game setting. It was musically quite quirky, like Route 16 Turbo, and I really liked it. Again, Ichihara comes on stage to talk about the next game: Atlantis no Nazo (1986, Famicom), a game he played to death when he was young. “It’s a side-scrolling platformer where you throw bombs, sound familiar?” he says and the audience laughs. He goes into more detail and his explanations seem to get longer and longer with each game, about as long as the music itself. The arrangement begins with “Title” and “Game Start” jingles that give a hint of classical music. The “Overworld” theme afterwards goes full-out Mozart with its flowery, fun and fast melodies, which I loved. It continued into a more dark and serious Beethoven epicness, that still kept the pace fast, and I loved how it nicely balanced out the floweriness of the piece’s first half. Atlantis no Nazo was outstanding and the best piece thus far. The first two pieces were quirky and great in their own right, but this felt more grown-up. Next is a step up from the Famicom to the Super Famicom with Albert Odyssey (1993, Super Famicom). 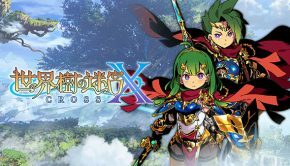 It’s a tactical RPG with a sad ending, which Ichihara say differentiated it from the big two RPG series of the time: Final Fantasy and Dragon Quest. As soon as the music hits, it’s clear that Albert Odyssey‘s soundtrack was originally orchestral. The melodies simply sound right with an orchestral ensemble like NJBP. After a short intro, it goes into a peaceful village-like theme that has a really soothing effect. After all the quirky, fast, flowery and dark melodies, this is just the relaxing and beautiful music I needed. Quite unbelievably, the music gets even better with an adventurous theme and of the best trumpet melodies I have ever heard in my life. The track title is “The Road Walked by Heroes” and there’s a soundtrack release for Albert Odyssey as well, so check it out. Unfortunately the last track in this medley was forgettable general orchestral music, and on top of that the trumpetist made a blatant mistake. The medley just kept getting better and better, so this last dip in quality was a slight disappointment. Finally, the game that brought about this concert: Ikki (1985, Famicom). “Have many of you have played the game?” Ichihara asks and about half the audience raise their hand. It’s always interesting to find out about these games that are unknown in the West, but well-known in Japan. Ikki is a top-down action game where you throw sickles at ninja enemies. Apparently it’s the first game to be called kusoge – translating to crappy game – a term in the Japanese gaming world for a difficult, ridiculous, or in some other way bad game. The music of Ikki was two steps backwards for this concert. Just when the overall flow of the show had evolved from quirky to classical to expressive RPG orchestral music, the style of Ikki went back to the quirkiness. In the beginning of the concert it was great and enjoyable, but this was too much. For the flow of the concert, it made zero sense to go back like this. The above graph pretty much sums up the first half. Not only was Ikki a bit worse that the other pieces, but its quirky and simple style felt out of place after Atlantis no Nazo and Albert Odyssey, which had evolved into a more beautiful and expressive style. Because of that style clash, the overall flow of my enjoyment felt like an even bigger dip than the line above. As a standalone piece, I think the Ikki arrangement is a solid “good,” but as the ending piece of the first half? No, thank you. A 15-minute break followed. I was surprised to find that there were no Sunsoft or Yuzo Koshiro soundtracks on sale. 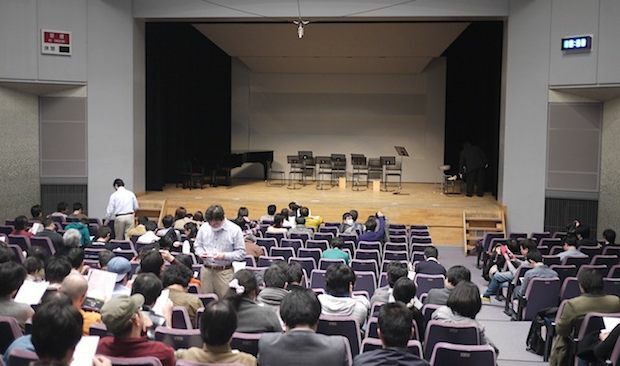 This must have been my first time in a Japanese professional game music concert where there were no goods on sale. They did sell one thing: tickets to the next concert which features Hiroki Kikuta as a special guest and focuses on music from Secret of Mana and Seiken Densetsu 3. One half might be dedicated to something completely different, though, like this concert. All music in the second half was composed by Yuzo Koshiro. He has composed so many good soundtracks, that honestly I wasn’t surprised by the inclusion or exclusion of any particular game in this half. The first game in the second half was Protect Me Knight 2 (2014, 3DS). It’s a retro style action game made by a small team of 2-3 people at Koshiro’s company Ancient. Koshiro announced on stage that there will be a second soundtrack release for the game with a vocal track missing from the first one and arrangements with FM synthesis. It will be out in a few months. The twin sisters behind Koshiro in the picture below played a piano rendition of Protect Me Knight 2. The original music is amazing chiptune goodness, but this piano arrangement felt lacking. At first, it sounded like the fast chiptune lines might convert well to a piano duo, but unfortunately they didn’t. It felt like a note-for-note rendition of the original track and wasn’t expressive and dynamic, like piano music usually is. There are so many mediocre piano arrangements of video game music out there, and this felt like just one more in the pile. Next up was Misty Blue (1990, PC98), an adventure game where you choose commands like “examine,” “talk,” and “go” for gameplay. Koshiro composed the music of Misty Blue at home, while he was commuting to the company Quintet to compose ActRaiser in their offices. Koshiro says he doesn’t really remember anything about the game or the music, as it was too long ago. I can’t blame him, since the music is quite forgettable. The twin sisters piano duo took to the stage again and performed “In the Morning” and “Don’t You Know That”. The arrangement was mellow and easy-to-listen piano music that goes out of one ear as fast as it entered through the other. There were a few places you could clearly hear that four hands are playing the piano, which gave some special interesting moments to the arrangement, but overall the piece wasn’t anything special. Now came two of my most antipicated titles of the night: Streets of Rage (1991, Genesis) and Streets of Rage 2 (1992, Genesis). Koshiro talks about how his taste in music changed from rock and fusion like Gradius and Space Harrier, which influenced his early works, to house and techno, which was popular abroad, but not so much yet in Japan. He says SEGA was stronger overseas than in Japan, so they targeted Streets of Rage for markets abroad, and Koshiro decided house and techno would fit that market. The arrangement began with all the members stomping a rhythm and strings playing the catchy background patterns of “Fighting in the Streets”. The original track has a really nice repeating downward sliding synth note, that sounds like a sound effect. I loved how those slides were executed by the strings and brass in this arrangement. Smoothly the arrangement transitions to “Dreamer”. The first part’s long notes are played as brass crescendos which swell in volume. That dynamic playing continues throughout the piece, and the second part’s melodic lines combined with dynamic brass make it sound like big band music. I absolutely loved it! 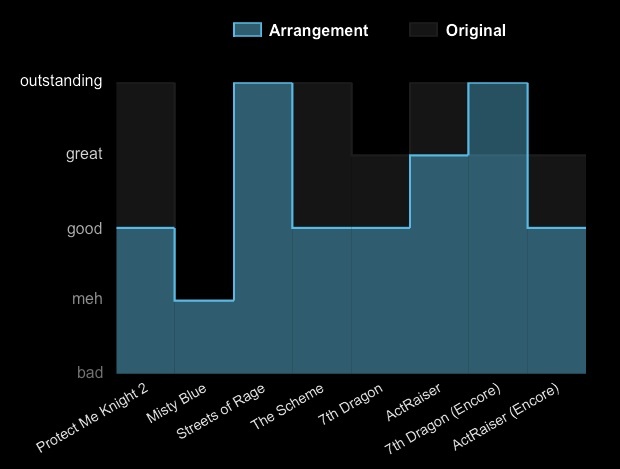 I was surprised how well Streets of Rage worked with orchestral instruments. They brought a different kind of aliveness to the music I couldn’t have imagined. The only thing lacking was power; maybe the volume levels were simply too low for this kind of music. But despite that, this piece was outstanding. The Scheme (1988, PC88) is a side-scrolling action game where Koshiro utilized the newly released Sound Board II. The number of sound channels almost doubled from 3 FM channels and 3 PSG channels previously to 6 FM channels, 3 PSG channels some PCM channels for rhythm. NJBP performed one track from the game: “I’ll Save You All My Justice”. Koshiro said he stole the title from the British pop band Dead Or Alive’s “I’ll Save You All My Kisses”. The original track is one of the best pieces of music ever in my opinion, but unfortunately this arrangement was mediocre. The only impressive thing was the clarinetist playing the super-fast solo probably note-for-note from the original. But even that was partly anticlimactic, since the rest of the ensemble quieted down so everyone could hear the clarinet clearly. In the original, the track gets more pumped during the solo, not less. To make matters worse, the next time around a violinist tackles the solo, but doesn’t do it nearly as well as the clarinetist. The melodic content is of course unchanged and thus fantastic, so I can imagine that those who don’t know the original track enjoyed this piece more than I did. After the piece ends, Ichihara asks Koshiro an intriguing question: “How come you have never really composed for the Famicom?” Koshiro explains it has nothing to do with liking or disliking the Famicom. At the time, the Famicom developer tools were expensive at 10 million yen (almost 100,000 USD), and the only way to compose for the Famicom was to find employment in the limited number of companies that were making Famicom games. Koshiro just happened to work on a lot of SEGA and computer games. Next came 7th Dragon (2009, DS), an RPG that resembles Etrian Odyssey, since it was developed by some of the same people, Koshiro explained. The arrangement included one track from the game: “Battlefield – Swords Bursting”. It’s a solid battle track that is not as fast-paced as the early works of Koshiro. He explained that it’s hard to keep a good balance with battle music: it can neither too exciting nor too boring, since you will hear it a lot. The arrangement was simple and there is not much to say about it. The strings played the simple pulsating background rhythms throughout, the brass harmonies in the first part were bland, and the main melody of the second part on trumpet was quite good. When NJBP played this piece during the rehearsals, the concert mistress tapped her heel on the floor to the rhythm pretty much all the time. That small pounding power felt better and was missing from the concert performance. I guess you wouldn’t feel her heel-tapping in the audience anyway, but I was reminded that small things make big differences in these arrangements. 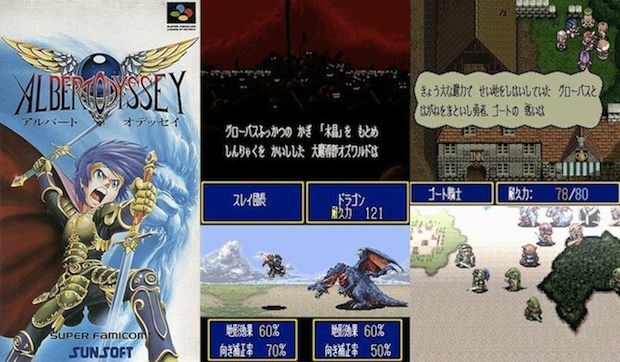 The last title in the second half was ActRaiser (1990, SNES), a game whose superb sound quality influenced games like Final Fantasy IV, where they resampled instruments after hearing how good ActRaiser sounded. Koshiro goes on to explain that with tools provided by Nintendo you couldn’t produce sounds even half of what the Super Famicom was capable of. The main programmer of ActRaiser, Masaya Hashimoto, created better tools with which you could read data several times instead of just once like with Nintendo’s tools. The arrangement began with the classic “Opening”. It sounded as you would expect with its fanfare brass and build-up of energy. The beautiful and sad, yet hopeful “Offering” followed. It had a really prominent slow walking bass line in the second part, which brought depth to the piece. I had never noticed it in the original, maybe because it’s quite flat and echoey. The deep bass in this live setting made it so much more alive. The short jingle “Advent” transitioned the arrangement to the last track: “Filmoa”. The string players were very energetic and swayed to the music, clearly enjoying it. There was a violin solo and a modulation at the end, which brought freshness to this otherwise true-to-the-original arrangement. I have heard a better version with a full orchestra live, and I can’t help but to compare and be reminded of how much more power that one had, even though it’s an unfair comparison. After the piece ends, Ichihara comes on stage and says it’s picture time! The thing is, Ichihara explains, that in Japan pictures at orchestra concerts are forbidden, so when everyone tweets about a concert they have been to, they photograph the booklet. 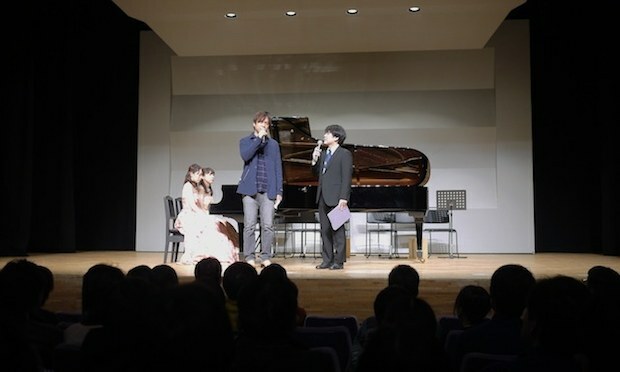 Ichihara said now is the audience’s chance to photograph the players, who faked playing a piece. I was surprised at how fast everyone had their phones out and turned on. Didn’t they turn them off during the concert? There were two encore pieces. 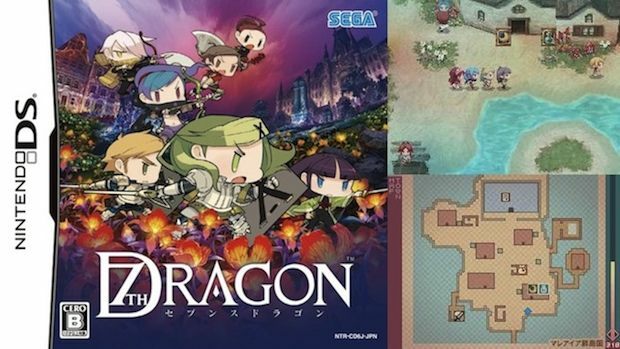 The first one was “Labyrinth – Jungle Navigation” from 7th Dragon. The arrangement was a breath of fresh air with its peaceful melodies. The melodic material is simple and you can easily play it on a single piano. I liked how they strecthed it out by starting with a solo piano, but then gradually introducing background strings and finally letting a cello take over the melody. It was mellow, beautiful, and peaceful – a style that hadn’t yet been heard at the concert. I loved it. The second encore, and the very last piece of the concert, was “Ending” from ActRaiser. If I would have planned this concert, the idea of having the ending theme from ActRaiser last would sound good on paper. First some peaceful 7th Dragon, then a fanfare-filled ending theme from ActRaiser? Sounds great! But, for some reason that I can’t exactly pinpoint, it didn’t work well. It just sounded like typical fanfare music and was lacking timpani and snare drums. I do like the original, but perhaps it just isn’t good enough to be the last encore piece. So here is a graph for the second half of the concert.That teal blue area shows how much I enjoyed the arrangement. The dark gray area shows how much I enjoy the original tracks. For example, the original Streets of Rage and The Scheme tracks are both outstanding, but only Streets of Rage lived up to its potential, while The Scheme fell short. Most arrangements didn’t live up to their original counterparts, but one piece was even better than the original: “Labyrinth – Jungle Navigation” from 7th Dragon (the first encore). I think I will dive into that soundtrack a bit more deeply, since I liked this arrangement so much. After the concert ended, I got a chance to meet Yuzo Koshiro backstage. Thank you, Yusuke Ichihara, for setting this up! The show felt like it had trouble deciding whether it’s a concert or a talkshow. On average, I would say the show alternated between five minutes of music and five minutes of talk. If you read my whole review, you got a glimpse of what Yusuke Ichihara and Yuzo Koshiro talked about, but there was more. I didn’t write even one third of everything they said. Ichihara’s long-winded explanations in the first half were somewhat entertaining but simply too long. I can’t imagine many people enjoying that much talk over music. His game descriptions could be included in the booklet and if screenshots would be possible, that would be even better. I just can’t help but feel that so much talk about the games covers up the fact that they can arrange and perform less music, which means getting away with less work. Koshiro’s interview was quite interesting on the other hand. I learned many new things. That being said, it still felt too much to have him come on stage between every single piece, but I can imagine that many in the audience enjoyed it a lot and didn’t mind the broken up structure. I minded it a little and my premise is simple: live music cannot be replicated, but live interviews can be replicated as video, so focus on the music. As for the music, the first half was brilliantly set up 80% of the way. 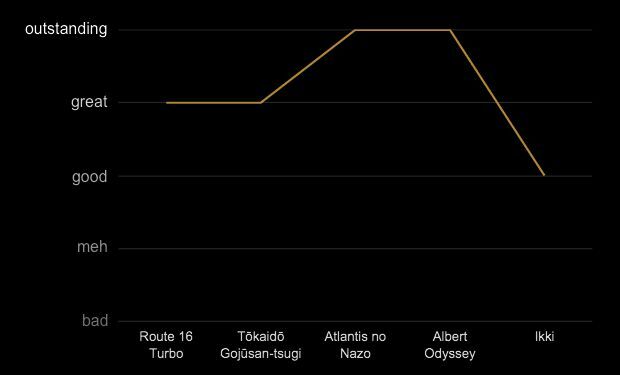 My enjoyment steadily grew from the quirky and fun Route 16 Turbo and Tōkaidō Gojūsan-tsugi to the beautiful and expressive Atlantis no Nazo and Albert Odyssey. But the fifth piece, Ikki, took a dip in expressiveness and went back to that primitive quirky style. The second half had mostly good, great, and outstanding music, but when compared to the quality of the original tracks, the arrangements were pretty hit and miss. Streets of Rage and the 7th Dragon encore were the best, while the ActRaiser medley almost lived up to the original’s awesomeness. The one piece that really stood out to me was Streets of Rage. “How on earth will those electronic beats worked with a chamber ensemble?” I thought beforehand and was very pleasantly surprised. And I have some good news. I talked with Ichihara and Koshiro at the afterparty, and Koshiro gave permission to NJBP to release a video of their Streets of Rage arrangement. It will be up on YouTube later, but in the meanwhile just imagine what it would sound like with orchestral instruments! You can find NJBP’s YouTube channel here, their official site here, and if you are in Tokyo on June 26th, 2016, check out their Hiroki Kikuta concert. Now, I have one question for you. Which one of the pieces in this concert would you like to see on YouTube or even live? Let us know in the comments! Posted on April 16, 2016 by Nikolas Broman. Last modified on April 17, 2016. Misty Blue sounds excellent in its original YM2608 FM-synth version, but I can understand why late-’80s house/rock music doesn’t exactly translate well to orchestral (not that its melodies are shabby). I went back and listened to the soundtrack. I think it’s quite hit & miss, with an almost equal amount of bad, meh, good, great and outstanding tracks. The tracks NJBP picked (“In the Morning” and “Don’t You Know That”) happen to be on the mediocre/forgettable side. I guess they are the most suited for piano, given that they are slow and ballad-like, so I understand that choice. My favorite tracks are “Opening” and “Misty Blue”. I think that 80’s pop/rock side is the best part of the soundtrack. But they probably wouldn’t have made for good orchestral arrangements, like you said.